The Durban One is a single speed folding bike designed for recreational rides on flat roads. 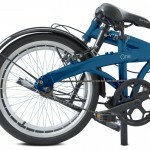 This folding bicycle is likely to impress you with its beautiful and simple design. Obviously, the bike is well-designed and looks very attractive. The bike itself is compact, so it doesn’t occupy too much space in premise. And of course, it’s a big advantage. 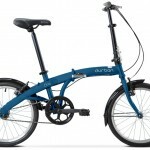 The Durban One folding bike is suitable for riders of all skill levels (both beginners and professionals). Most likely that you will like the Durban One bicycle’s key features. It’s important to point out that the Durban One folding bike has many great benefits and delivers multiple significant benefits to cyclists. Clearly, the bike has all the necessary features for an enjoyable and safe ride. The Durban One folding bike has one speed only, but the bicycle performs very well. You’ll probably find it easy to ride the bike on all types of roads. However, it can be difficult for you to go uphill and go downhill. Also, you’ll hardly be able to ride the Durban One folding bike at high speeds. Another important thing that you need to be aware of is that the Durban One folding bicycle has a very convenient frame. 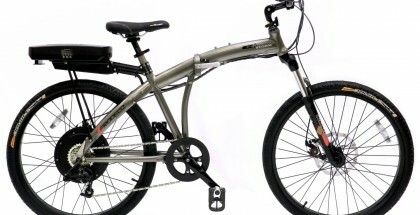 It’s worth pointing out that the Durban One folding bike’s frame is made of high-tensile anodized steel. 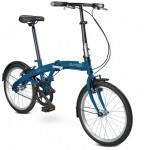 Other folding bike’s key features include a KMC chain, an adjustable handlebar system as well as folding pedals. Clearly, the manufacturer of the Durban One folding bike puts a lot of focus on the rider’s safety. 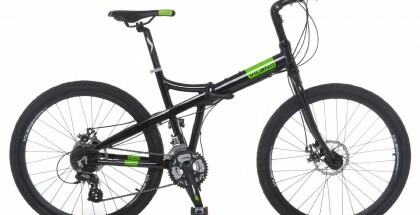 If you take a closer look at the Durban One model, you’ll see that the bike comes with V-brakes. The brakes of this type are well-known for its great stopping power. That means that you will be able to stop the Durban One bicycle very quickly if such a necessity arises. Nevertheless, the Durban One is a very practical bike. It’s pretty easy to fold/unfold the bicycle. You need to know that the process of folding/unfolding the Durban One bike is very simple and doesn’t take too much time. Keep in mind that it will take you no longer than 15 seconds to fold (or unfold) the bicycle. It’s worth noting that the Durban One is a small bike. Plus, the bike’s decreases in size dramatically if you choose to fold it. When the Durban One bike is folded, you will find it easy to bring it on public transport. With the Durban One folding bike it wouldn’t be difficult for you to travel by bus, train, subway, etc. no matter where you go, you can always take the Durban One folding bike with you! When you get to your destination, all that you need to do is to unfold the bike. The reality is the Durban One folding bike can be unfolded fast and easy. After that, you can continue cycling. Overall the Durban One is built with the same quality and components as the the Durban Bay 6. The main difference is that it is a single speed bike. This means it can’t handle big hills and on even small inclines be prepared to do some work. Believe me, if you didn’t think there were hills on your route, you will find them on this bike. This One is not intended to be a “commuter” bike. 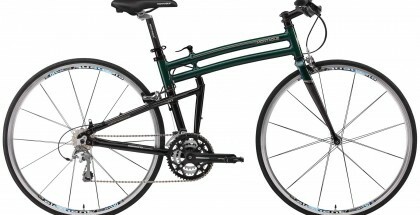 It just isn’t practical for longer distances and commuter style travel. I think of the Durban One like my childhood bike’s cool older brother upgrading to 20″ wheels, handle breaks, and the ability to fold. But as cool as it is, I would ride it much the same way – to my friends house just a couple blocks away. While there are other single speed folders out there, the Durban One is just about the cheapest I could find – less than $250. If you have a few extra dollars you may want to consider the Dahon Speed Uno. If you are a casual rider with limited space, then this could be the bike for you. The Durban One folding bike would be a good option for those cyclists, who are looking for a small and comfortable single speed folding bicycle. It’s also important to note that the bike is affordable. So, it makes a lot of sense to consider this model if your budget doesn’t allow you to purchase a more expensive folding bicycle.